Born in a small mining community near Edinburgh, Brian McCabe has been a freelance writer since 1980. 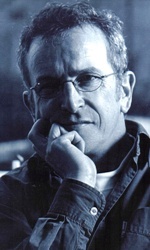 He has held various residencies and fellowships including: Stirling Libraries; Strathclyde schools; Dumfries and Galloway schools; Scottish/Canadian Exchange Fellowship; Ross and Cromarty District Council; Novelist-in-Residence St Andrews University; presently the William Soutar Fellowship in Perth. He lives in Edinburgh.